Home builders, remodelers and home architects have begun to apply these same principles to home design and renovation. It’s not like this is something homeowners never thought about. Window walls have been popular for decades. Few homeowners would say they wish their home had LESS natural lighting. Just the opposite. It’s not just the glass in a home that determines the comfort and overall impact of the indoor environment. What’s needed is something called an integrated design approach. In a nutshell, this means thinking through what life will be like inside this home on many levels. 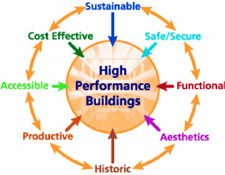 Also called Whole Building Design, this can sound like a daunting task: “providing the strategies to achieve a true high-performance building: one that is cost-effective over its entire life cycle, safe, secure, accessible, flexible, aesthetic, productive, and sustainable.” (Source HERE). Fortunately, the science of building with ample glass has improved dramatically. Not only have the window glazings themselves become much more efficient, new products offer fiberglass frames are naturally resistant to heat transfer. On top of this, the whole process of installing windows is now supported by flashing and sealing systems that integrate with high-tech housewraps and rigid foam panels. The products and knowledge you need to make homes more livable are readily available. The only thing you’re lacking is some design inspiration. With that in mind, I’ve selected some of the very best daylight-friendly interior designs from our annual Green Home of the Year Awards program.